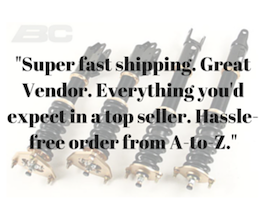 $189.00 (Save 1%) FREE SHIPPING IN LOWER 48! There are two types of subframe damage I've seen, tear out and pull out. I will try my best to explain each of them. The backing plates on the kit are designed to distribute the load to a larger area behind the subframe to eliminate the welded nut pull out that is fairly common on DC2 GSR and EG si. The next weak linkis the crease on the subframe. This crease causes flexing which ultimately leads to the subframe's failure. 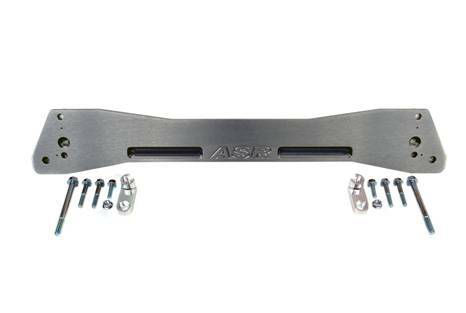 The ASR brace eliminates this flex by using the LCA bolt as an anchoring point and further strengthening by using a wide plate to brace the two sides together. This greatly reduces any flexing of the subframe by keeping all of the mounting points from moving independently of each other. Note: This item will not fit the Type-R Integra.